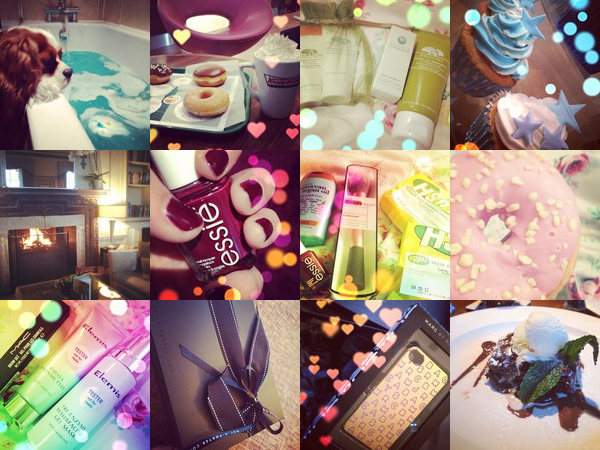 Bit of a life post what i've been upto in pictures.. Going left to right.. 1. Trying out a new Lush bath bomb, someone likes it 2. Late night trip to Krispy Kremes. mmm 3. Latest order from Origins including the skin drink overnight mask and lots of samples 4. Cupcakes made for a christening 5. I get to look after this fire at work, its super cosy with this lit. 6. My favourtite autumn shade right now from Essie. 7. Shopping trip to town including a new real techniques brush and lush christmas goodies. 8. Having an sick day and a pretty doughnut can only make things better..! 9. 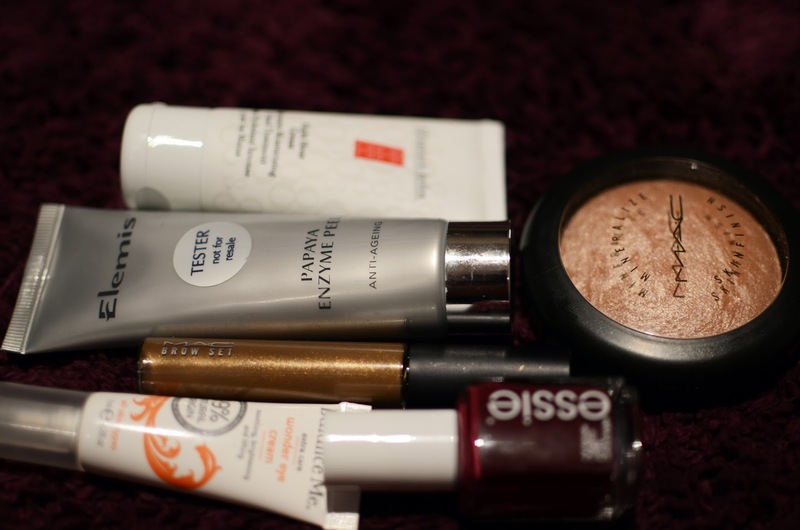 Trying out some new Elemis masks and a new Mac browset 10/11. new Marc Jacobs iphone case which came in such a pretty gift box from net-a-porter.com 12. Chocolate brownie dessert to die for.. Relax & De-Stress.. a natural alternative? Elemis - Quiet Mind Temple Balm and Origins - Sensory Therapy Peace of Mind but do they actually work? Both products are small handy 15ml travel size bottles and a balm like consistency. The nice thing about these is they both promote being free of parabens, phthalates, synthetic fragrance and lots of other nasties. Firstly Elemis Temple Balm has a blend of essential oils that help to promote harmony, tranquility and relaxation. Its very heavily scented of lavender which i do like but can come across a little strong. I feel this is more suited for an evening. 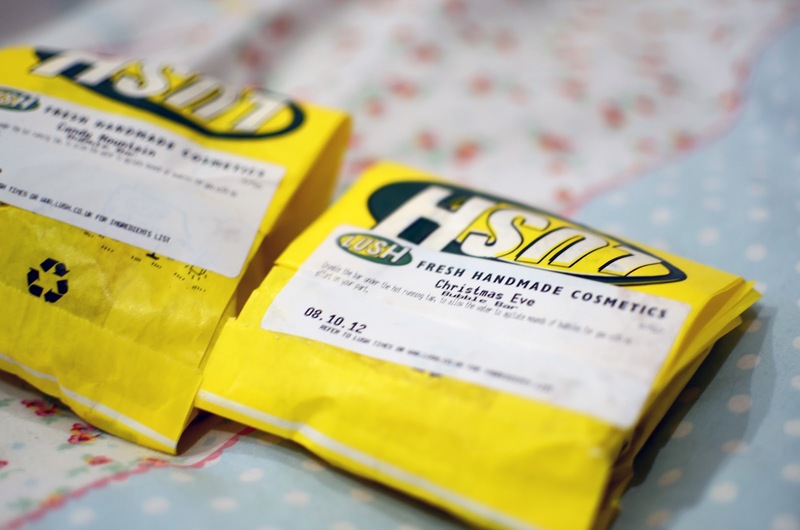 This is applied by putting a small amont onto you fingertips and apply to temples, earlobes and back of the neck. It has a refreshing feeling to the body and helps clear the mind, i've found this great to use when beginning to get a head ache or when i've had a head full of cold to clear the sinuses. Origins - Peace of Mind on the spot relief. Same again just apply 2 dabs to the back of the neck and earlobes to help relief tension. When applied to the skin it leaves and strange tingling sensation that leaves a minty refreshing feeling, i really love this and its not as overpowering as the Elemis balm. I'd say this is something i'd keep in my hand bag just to use now and again, and it something i'm already packing for my next travel trip, i imagine for a long flight this would prove useful. Overall i wouldn't say these where a replacement for any kind of tablets but they can defiantly aid the situation before you feel any worse, if you suffer from stress and need help to relax these are great to apply before sleeping on a night. Origins peace of mind retails at £12 while Elemis temple balm at £16. Apologies for the quality of pictures i've used my iphone. Its that time of year at Lush! 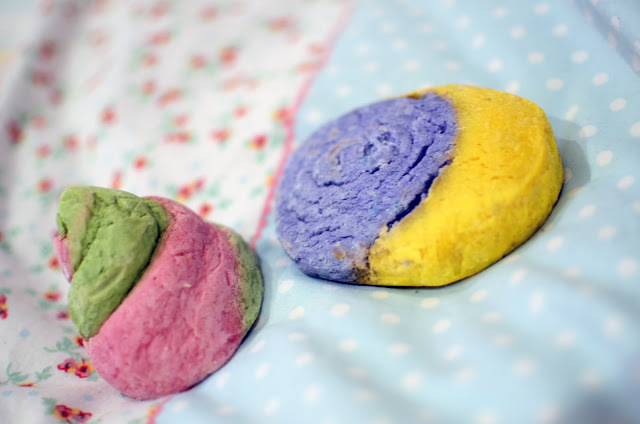 Bubble bars are my favourite they get more use than a bath bomb and create lots of fun bubbles, smells and colours. The two i chose were Christmas Eve and Candy Mountain. Christmas eve is the blue with yellow crescent it has jasime scents and is great for an evening relaxing, i can proberly get around 4/5 baths out of this unless you really want to indulge with a huge chunk in your bath, however the only downside of this is it makes the water a strange dirty blue/ green colour, i suppose you can get over that really for the amazing payoff of relaxation. Next is Candy Mountain - One of my favourite scents, Its very similar to the comforter bubble bar and the snow fairy shower gel, i'm just a sucker for the sweet smelling lush products and this one doesn't disappoint I will end up getting through a few of these before they are gone again! combined with the snow fairy shower gel.. ahh this is too good. Theres a whole range of brand new items on the LUSH website but i couldn't find these in my local shop :(, i will be stocking up next time! I was a little late in putting up a September favourite posts, so i decided not to but these are a couple of new things i'm enjoying using right now. I love autumn, yes its colder but theres just something about it that i love, the trees are turning, i can light candles and feel really cosy. My skin in general has suddenly felt alot drier, i don't know if its because i haven't been well or just the climate change, maybe just a combination of them both! 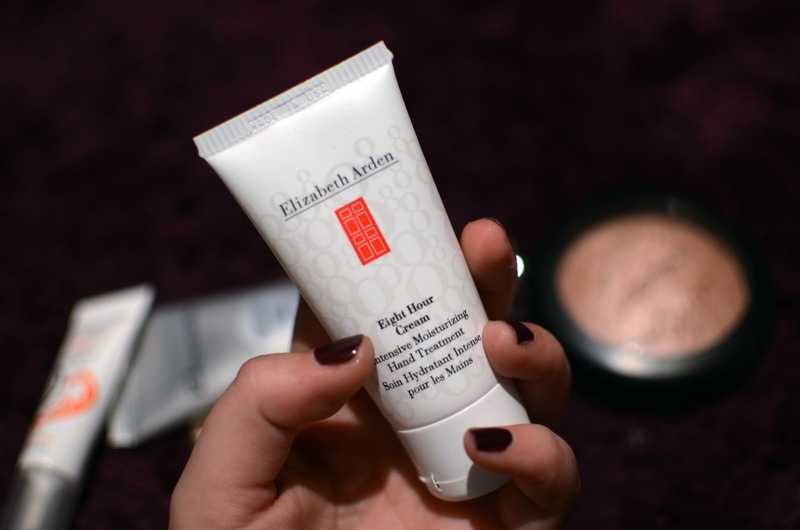 Elizabeth Arden Eight hour cream hand treatment - I really love EA's 8 hour range, it smells a little strange but it really does work, this hand cream is great on the go, i've got some 8 hour facial moisturiser i'm dying to try out but i'm saving it for my holiday next month. I think this range is really good for this time of year. MAC Mineralize Skinfinish in soft and gentle - I've been using this alot lately its loverly for just finishing off the face with to brighten and highlight. 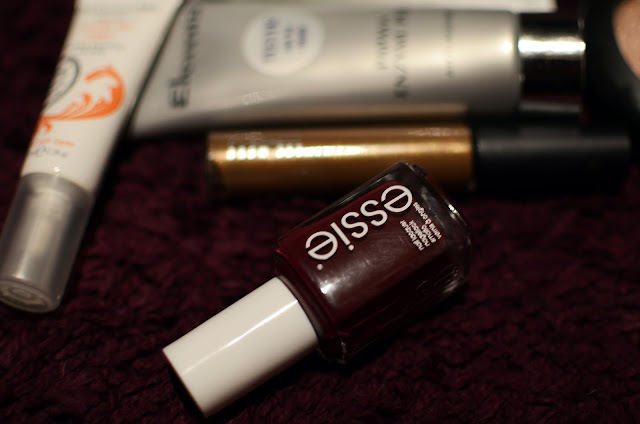 Essie nail laquer in recessionista - this is form them limited edition line for autumn, i've been looking for a nice deep red for a while and it was had to part with my £8 for an Essie polish but honestly i do prefer this paint to so many other polishes and its worth it in the end for staying/chip free power alone. Balance Me wonder eye cream - I really do love the naturalness of Balance Me products and this eye cream is loverly for freshing up the eye area (after not so much sleep.... ) leaves eyes feeling revitalized and has quite a nice scent too.